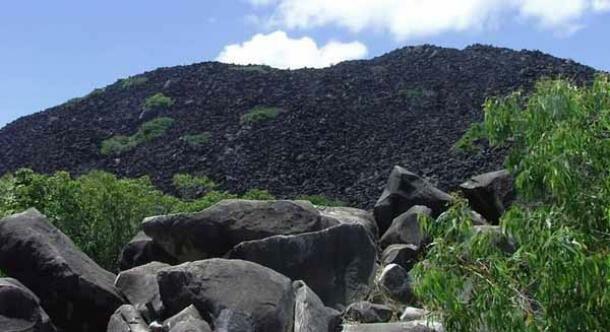 In Queensland Australia there is a very odd rock formation known as the Black Mountain or The Mountain Of Death. These massive burnt boulders were made about 250 million years ago by boiling magma. But the way these massive rocks are placed makes it seem that someone or something deliberately placed them there making a lot of people speculate very tall beings or extraterrestrial activity. This is one place that the natives avoid at all cost. There are so many caves, tunnels and mazes within this mountain making it very easy to get lost and you can also hear very disturbing sounds such as screaming and moaning when you get close enough. This location is known for some very strange sightings and disappearances and the natives have a lot of very disturbing stories surrounding the Black Mountain. One of the most famous of these stories involves a wicked medicine man known as the eater of flesh. The local tribe was so scared of this man that they would actually let him eat their old and sick hoping to appease his cravings for human flesh. Even the animals keep their distance from this place and pilots avoid flying over it as they experience some very strange anomalies, such as equipment failure and strange turbulence. Now since so many pilots are afraid of flying over this location they even had it tested for magnetic disturbances and radiation levels back in 1991. And everything came back normal only deepening the mystery making scientist wonder what is causing these anomalies. Now what makes the Black Mountain or the Mountain Of Death so terrifying is all the mysterious disappearances. One of the first reported disappearances happened in 1877 when a courier went out on horse back searching for a missing calf. When the courier failed to return a search party was dispatched but he and his horse was never seen again. Then an outlaw named Sugerfoot Jack and his gang were on the run from the authorities and they decided to hide out in one of the caves within Black Mountain. The authorities wasted no time and they tracked these outlaws to the mountain but they could never find them. And still to this very day not one trace of them has ever been found. Then again in 1890 another man running from the law decided to hide one of these caves and one brave police officer decided to go into the cave to apprehend him, and he to was never seen again. Now the Black Mountain started to get a reputation from the white settlers. The natives have always known to stay clear of this area and in the 1920’s two reporters were determined to get to the bottom of this mystery and they went to the black mountain and they too were never seen again. Even the trackers that went to go look for them also disappeared. Now there are so many cases just like this making the Black Mountain or Mountain Of Death one place to never go. Now some believe that there is a labyrinth of underground tunnels within the Black Mountain and this massive UN charter tunnel system is responsible for all these vanishing’s. And that might very well be true but the fact that no one has ever come out after they have gone missing makes me believe that something else might just be going on here. A very interesting encounter comes from a man named Ivan in 2001. His encounter was so terrifying that he even wrote an article about it. Ivan and his friend Danny decided to camp at the bottom of the Black Mountain on night as they were very tired and it was getting very dark. While they were setting up their camp they noticed that it was extremely silent, there was absolutely no sound at all and this frightened the men as there is usually a lot of animal noises in the outback, especially at night. Then as the men were sleeping in their tents they were awoken by the sounds of rocks crumbling. It’s as if something was slowly coming out of the mountain. Then they started to hear footsteps and these footsteps started to get louder and louder. Ivan and Danny were convinced that this was a man and Danny couldn’t take it anymore so he ran outside as fast as he could in hopes of scaring this person away. And Ivan was right behind him with a torch in his hand. Then these two men saw something right out of the X Files, they saw a huge black mass coming slowly towards them. Then this dark mass just evaporated right in front of their eyes. And right after it evaporated the noise that one would expect to hear in the outback returned. Now the men were terrified and they got out of their as fast as they could. Now this place is a paranormal researchers paradise and most who are brave enough to go to there return home with some pretty amazing stories to tell. 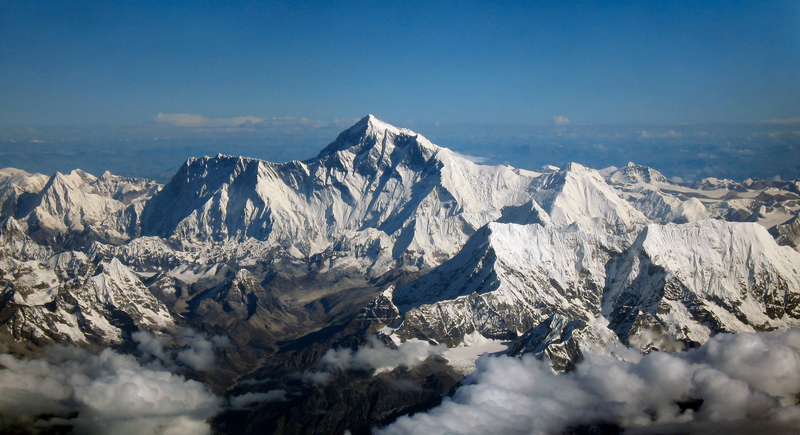 Now since we are covering this very creepy subject I have heard some very disturbing tales about Everest. In 2004 a Sherpa coming back down from Everest after claiming to have just broken the ascent record said that he had come face to face with some dark shadowie figures. And these dark shadows had there hands out and they were begging him for food. Now just hours before this terrifying encounter he saw a lot of frozen dead bodies and one of them was still hanging from a rope. 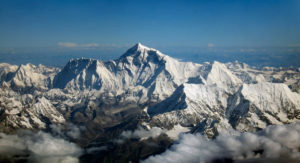 And this is not the only incident, other climbers have returned to tale very similar tales and as of today there is about 240 estimated deaths on Everest. Another very strange encounter happened when A female climber named Wanda tragically died while climbing a very difficult mountain. And on the next day one of her friends got a very mysterious phone call. When she picked up her phone she heard Wanda’s voice and she was very happy and excited and she was thanking god that she was still alive as she was just informed a couple of hours ago that she was dead. But there was something very odd about this phone call as Wanda kept saying that she was very cold and she could never return home. Now this women believes without a shadow of a doubt that she spoke to Wanda’s ghost. Then a British female climber named Julie died on K2 and not to long after her death two hikers were resting at base camp when they heard a voice on the radio repeatedly saying camp 4 to base camp can you read over, and the climbers were terrified right away as they knew there were no other climbers on that mountain at that time and this voice was female and had a British accent. Now these are some pretty creepy stories and I am sure there are a lot more out there so I might turn this into a mini series and I will try to cover them all! Until next time this is paranormal junkie, make sure to hit that subscribe button and stay tuned!